Happy Sankranti !! 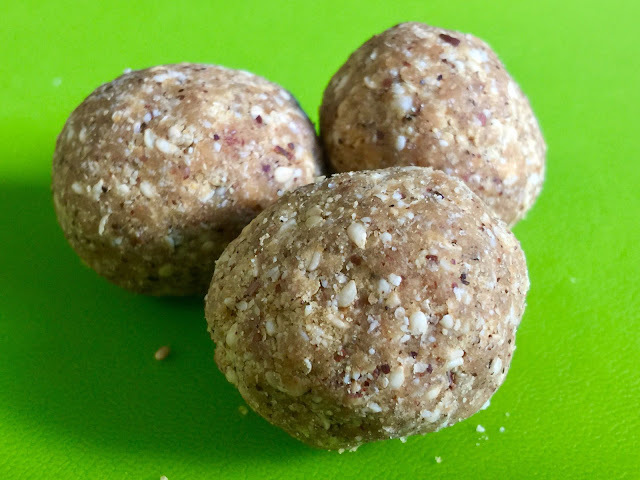 !.This ladoo is a variation of my mother -in-laws maharastrian style Til Moong Phalli Ladoo.This recipe is very simple and all the ingredients are available already roasted in supermarket these days. Pulse jaggery , almonds and cardamom together in food processor till almonds becomes a very coarse powder. Pulse till all the ingredients are well combined. Make lime size balls and enjoy . If you having difficulty make balls add a few teaspoons of clarified butter to the mixture pulse it one and try again. Traditionally all the ingredients are pounded together in mortar and with a wooden pestle.